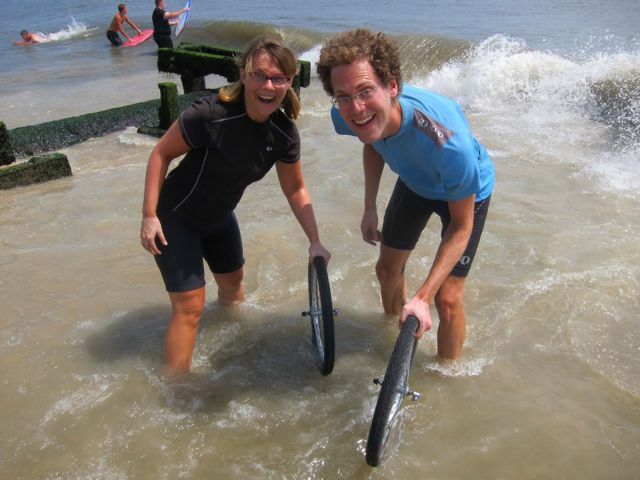 My former student, Rachel Timmons, and her husband, Brian Gottleib, recently finished biking across America. 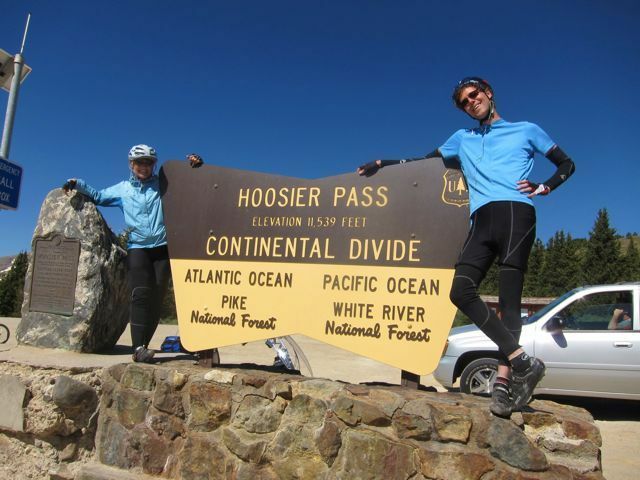 Yep, they biked 3,886 miles: starting in Florence, Oregon on May 14, 2010 and finished on August 6, 2010 in Rehoboth Beach, Delaware. They planned their trip for a long time. The items they would bring, their expectations high. Along the way, they encountered physical and emotional challenges so grueling, they weren’t always sure they would make it. They had to dump gear, change routes. Adjust. But they never gave up. They just kept meeting people, collecting stories, photographs and memories. There has been so much emotion on this trip. So much happiness, so much anxiety, so much love, so much discomfort, so much triumph, and so much inner and outer conflict. There have been . . . years worth of tears abbreviated in a few months. Most have been tears of pain, it’s true, but not exclusively. Before this trip, I only remember crying once out of joy, it was at my wedding. I’ve broken down in tears of joy three times on this trip. I’ve been surrounded by so much beauty and freedom that I found myself crying uncontrollably and being unsure why. I hope to remain in this feeling of freedom after this trip draws to a close. It’s not a physical freedom or the freedom of being on a vacation, but a freedom of the mind . . . Perhaps I owe it to the monotony of the routine. Every day, we pedal six to eight hours. When it rains we pedal, through heat we pedal, in traffic we pedal, when sore we pedal. There was no perception of choice or option, there was only the pedaling. For the first month, the discomforts magnified each day—within hours the rain became a mental monsoon and the wind a mental hurricane. A small disagreement in the morning could become a huge rift in my mind within two hours. But at the end of the day, I would look around and there would be no monsoon, no hurricane, no gap in our love for each other. And this repeated for days and weeks, and then I became more accepting of the routine and occasionally forgot to judge the rain, the wind, the small disagreements. I focused on the pedaling and a light rain remained a light rain and a breeze remained a breeze and I stopped clenching when a truck passed from behind. Now . . . I look back at all the intense emotions and they are all my favorite part. The best days were the ones I felt the most, regardless whether it was intense joy or grueling discomfort. The worst days were the days of sterility and numbness, the days that I turned off and hid from both lows and highs. Perhaps my mind believed it was only hiding from the lows and was still open to the highs, but it was mistaken. In hiding, I hide from both. I don’t see this trip as ending. My goal is to keep this trip going forever. I want to transition back into daily life as I’ve pedaled through these best of days: free. 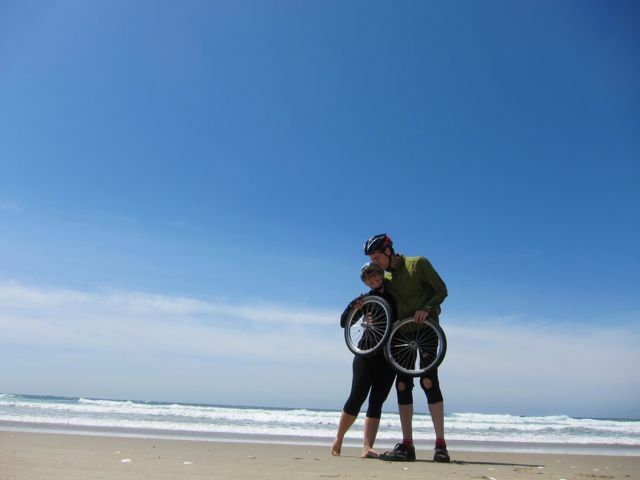 I want to let in all the feeling I can, high or low, as I pedaling through my next assignments at work, my search for a new place to live, and my lifetime adventure with Rachel. I loved reading about Rachel and Brian’s youthful adventures avoiding buffalo and sleeping in freezing cold temperatures, finding country jamborees and attending rodeos. These days, I know so many people who are struggling: kids trying to figure out how to deal with new schools, new teachers, new routines; young adults working three jobs so they can afford to continue to take classes; graduates tirelessly trying to obtain meaningful work while toiling daily in low-paying jobs. I have friends going through terrible divorces and friends wrestling with terrible illnesses. I know people who have recently lost parents, best friends, spouses. I know people living in poverty. Sometimes, there is little to offer people in the way of words. When Dory swims, she doesn’t do it resentfully, but with a kind of faith that shows she believes that the dreary, dark water will – one day – end, and that, eventually, a more pleasing stretch of life will reveal itself. It is just downstream; she’s sure of it. Her funny amnesia propels her forward so that she can only focus on the moment, the swimming. We laugh at her, but there is something innocent and yet profound about her trust in the cosmos. So, like Dory, the Blue Tang, and Brian and Rachel, I urge everyone to just keep going. And I urge everyone to think about where they would like to be in five years. Because sometimes having a vision of where you would like to be can help you move forward and think beyond the hard times you may be having in the moment. Keep pedaling and swimming. Keep reading and learning. Just keep moving forward. Why? Because Dory said to. Where do you want to be in five years? When you look back, what would you have liked to achieve?